Jalandhar, Jan 14: LPU Kho- Kho players have been displaying their best of running and chasing at AIU’s North Zone Inter University Kho-Kho (Men) Championship 2012-13, being organised at LPU Kho Kho Arena. By defeating 3 Universities, BRAU University Agra, RMLA University Faizabad and CCS Meerut, for Knock out matches, at North Zone Inter University Kho Kho Championship 2012-13, LPU has also further strengthened itself by defeating PU Chandigarh & MDU Rohtak, in leagues matches, today. Panjab University Chandigarh, GNDU Amritsar and MDU Rohtak are the 3 other universities, which have qualified for league matches. 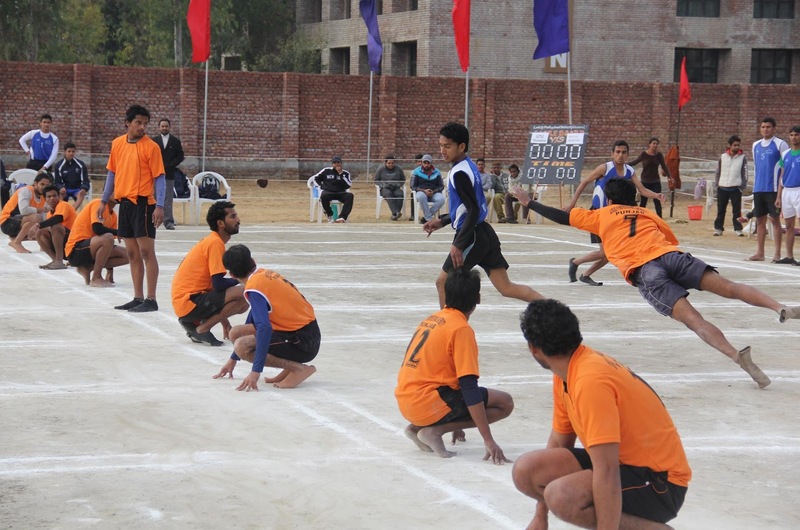 After playing all the matches of their turn for league basis, these 4 winners will compete with 12 winners of three other zones during National All India Inter-University (Inter Zonal) Kho-Kho (Men) Championship 2012-13, scheduled again at LPU from 25th to 30th Jan 2013. On day First, during knock out matches in Pool-A CDLU, Sirsa defeated DSV, Haridwar and PU, Chandigarh defeated Jammu University. In Pool-B LPU defeated CCSU Meerut and BRAU Agra defeated Lucknow University. 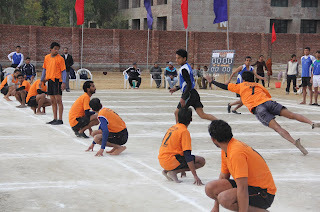 In Pool-C HPU, Shimla defeated BU, Jhansi and DU, Delhi defeated GKV, Haridwar. In Pool-D Punjabi University, Patiala defeated CSJM, Kanpur and Allahabad University defeated KU, Nainital. On Second day Jan 12, 2013, PU, Chandigarh defeated CDLU, Sirsa for Pool A; LPU defeated BRAU Agra in Pool B; DU, Delhi defeated HPU Shimla in Pool C and in Pool D Punjabi University, Patiala defeated Allahabad University. On the final day of knock out matches, Jan 13, 2013, PU, Chandigarh defeated KU University Kurukshetra in Pool A; LPU defeated RMLA University, Faizabad in Pool B; In Pool-C GNDU, Amritsar defeated DU, Delhi and in Pool D MDU Rohtak defeated Punjabi University, Patiala. Today, Jan 14, 2013 during league matches, LPU defeated PU Chandigarh, GNDU, Amritsar defeated MDU, Rohtak and LPU defeated MDU, Rohtak. Writing a cover letter for a job application is very interesting and also important like compete to become the national champion.